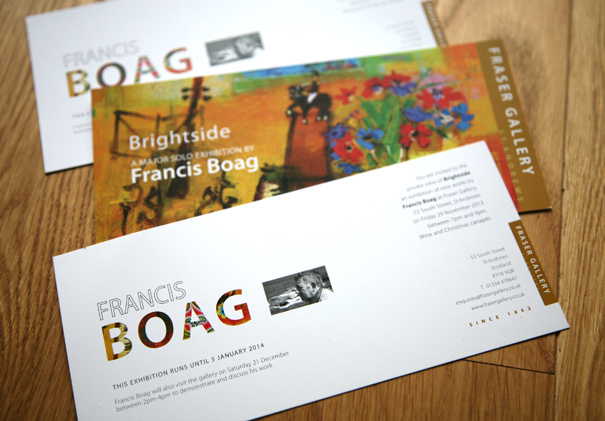 My latest work for Fraser Gallery is a set of cards, invitation and posters for the launch of the Francis Boag exhibition. 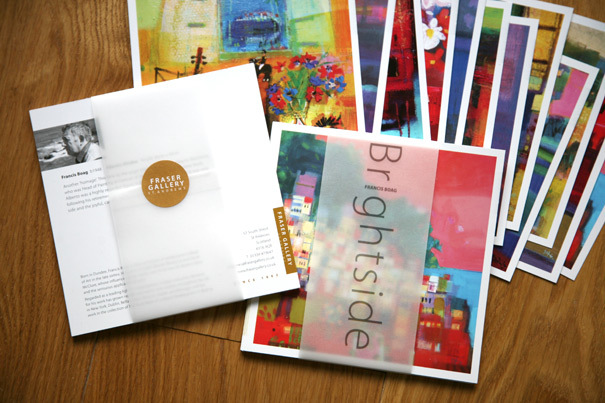 Visitors to the gallery will receive a set of cards that feature 12 different paintings and a few words by the artist on each of his colourful works. 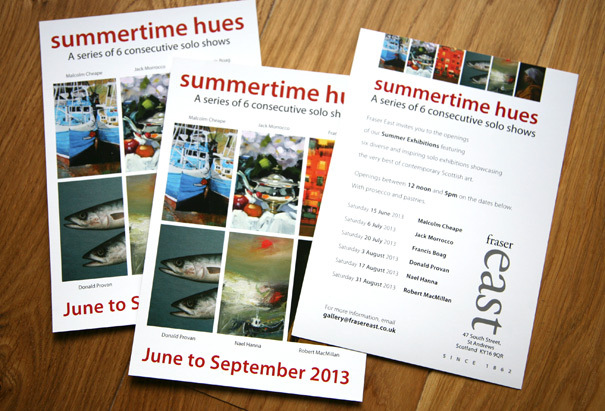 Over the summer, Fraser East held a series of solo exhibitions featuring a host of well known Scottish artists under the theme of ‘Summertime Hues’. My lovely copywriting assistant (and wife) is quick to point out that the title was her idea. The cheque is somewhere in the post, darling!